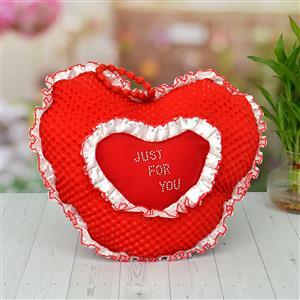 This red colored heart shaped wall hanging is now available on the decade old, trustworthy online store of GiftsAcrossIndia.com for special occasions and festivals in all cities in India. Wall hangings are the latest trend in home decor items, so you can rest rest assure that your gift would be loved by your friends and family in all cities in India. Special Instruction: Image is indicative, actual product may differ.